Jannine Rivel works within the field of dance and theater. 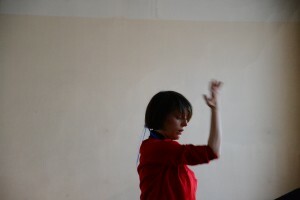 Jannines work methods are process-based and she is interested in the settings into a dance, choreography, play or other. The relationship between stillness and movement, one and other and purpose and content are important beginning points. 2016-2017 her focus has been on directing and dramaturgy during her MFA studies at Stockholm Academy of Dramatic Arts. Her artistic research has been on our senses, emotions and feelings and how they can intertwine in generating material and other. Jannine is currently based in Eskilstuna, Sweden and creates her work in relation to place, location and present. Her work is with institutions, municipalities, organizations, companies, choreographers, dancers and the ”free culture life”. Although she is based in Eskilstuna her work and her co-laborations brings her to other cities and countries. She is currently in the making of a dance performance produced with Scenkonst Sörmland. It will open in november 2019.